Jintye Corporation (M) Sdn Bhd was founded in 1987 as Jintye Trading. Jintye Corporation (M) Sdn Bhd incorporated in 1990 for further expansion and development. Jintye Corporation (M) Sdn Bhd is one of the highly recognised plastic ware distributors in Malaysia. Our company produces more than 1300 varieties of plastic ware products comprising food container, multipurpose container, basin, basket, dustbin, moo pail, cabinet, kitchen canister, mat, tumbler, box, hanger and etc. Our products are widely distributed all over Malaysia. The continuous innovation on the products intends to maximize the satisfaction of the customers by fulfilling their diverse needs and meet market competitiveness. Line with Government environmental policy, we encourage the public to use plastic container instead of polystyrene (EPS). 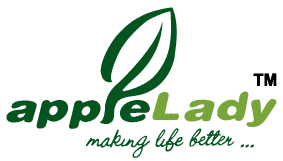 Jintye Corporation (M) Sdn Bhd is carrying the brand name of Applelady on our products. To become the leading brand of plastic ware in Malaysia, we are advertising our products through AI FM, HOT FM and FLY FM to gain brand awareness. Our excellent quality and commitment to customers have been honoured by the ISO 9001: 2008. This could assist us to establish loyal supports from our clients. The design and colours of the logo are representing the environment colour which implies that our products are environmental friendly. We aim to deliver the best quality products and services to the customers.